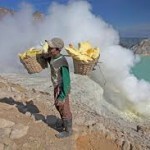 Mount Ijen Crater Trekking – Amazing sunrise of Mount Ijen Trekking is one of Jewels in East Java, Mount Ijen Crater Trekking has attracts travelers from all over the world. 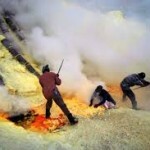 This trip is designed for you to enjoy the magnificent sunrise soft trekking up to the Mt Ijen volcano. We carry you through coffee and clove plantations around the village of licin and into once of Java’s last forest, rich wildlife at the park ranger’s station to begin trek to Ijen crater, along a shandy trail with spectacular views. 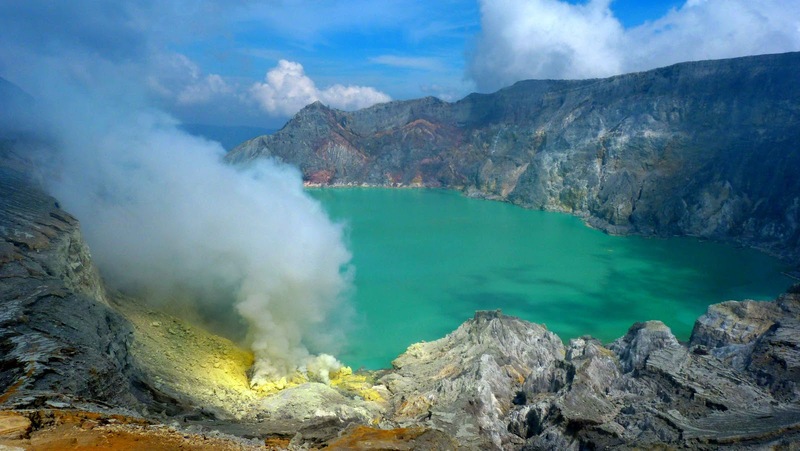 Rest along in the rim of the Ijen volcanic crater lake at an elevation of 2883 meters. The lake’s eerie colors and smoke wafting from bright yellow deposits along the shore to create a landscape both desolately barren and vibrantly alive. 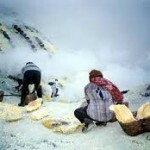 Watch miners descend into the Ijen crater and re-emerge carrying up to 80 kilos of ore on bamboo baskets along the treacherous path.